In How fast are the oceans warming?, L. Cheng, J. Abraham, Z. Hausfather, & K. Trenberth, 2019, Science, 363:128-129, reassess global ocean temperature data and finds that the heat content of the ocean is increasing considerably faster than had been realized, and at an accelerating rate over the last 15 years. The world passed the temperature tipping point for mass coral bleaching in the 1980s (T. J. Goreau, & R. L. Hayes, 1994, Coral bleaching and ocean “hot spots”, AMBIO, 23: 176-180), and as predicted 30 years ago coral bleaching episodes have gotten more frequent and severe to the point that we have now lost most of the world’s corals (T. J. F. Goreau, R. L. Hayes, & E. Williams, 2018, We Have Already Exceeded the Upper Temperature Limit for Coral Reef Ecosystems, Which are Dying at Today’s CO2 Levels, GCRA White Paper, UN Framework Convention on Climate Change Talanoa Dialog). 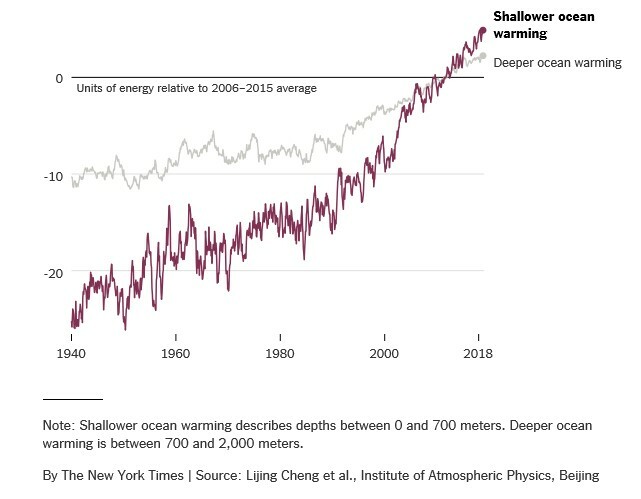 At the time that we passed the bleaching tipping point the rate of shallow ocean warming on this scale (compared to the 2006-2015 average) was only around -15, compared to +5 now! The clear future prognosis is for greatly increased future surface temperatures and mass bleaching heat stroke events to steadily wipe out the most vulnerable corals. 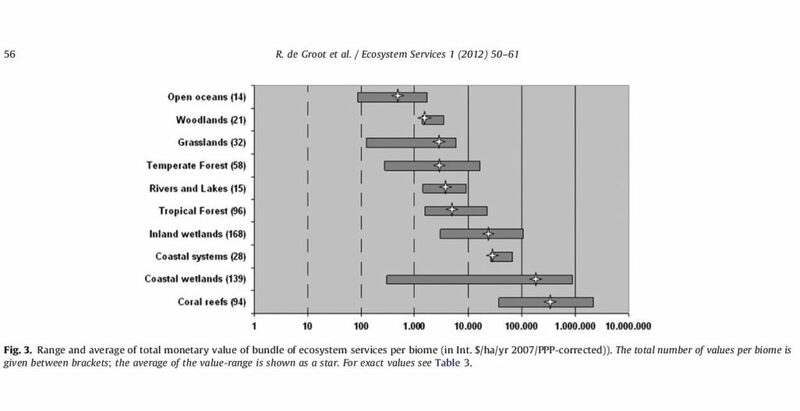 Coral reefs are the world’s most valuable ecosystem ( below, De Groot et al., 2012, Global estimates of the value of ecosystems and their services in monetary units, Ecosystem Services 1:50–61). Since most global economic ecosystem service losses are from coral reef degradation (Costanza et al., Changes in the global value of ecosystem services, 2014, Global Environmental Change, 26:152-158), we can expect severe economic consequences for all tropical coastal countries, especially for island nations. The survival of coral reefs and of billions of people who depend on them are at stake.